Mughal Sarai was a food experience far beyond what I have ever had with Mughlai or Indian cuisine. I have never been an adherent fan of the cuisine and turns out, I just had never tasted the real stuff. Food Prowl and Mughal Sarai invited me for a food tasting and that was the day, big changes happened in my life! Mughal Sarai is located in Kondhwa, where there isn’t really a dearth of Mughlai restaurants, but what differentiates this place is the superb quality, beautiful ambiance and diligent attention to detail. The restaurant is a little confusing to locate and reach the first time, but it’s definitely worth the effort. They have both – classy air conditioned family style indoor seating as well as a chilled out, ‘hang out with your mates’ kind of outdoor terrace seating. It is a great place for family celebrations, parties or even a quiet dinner. 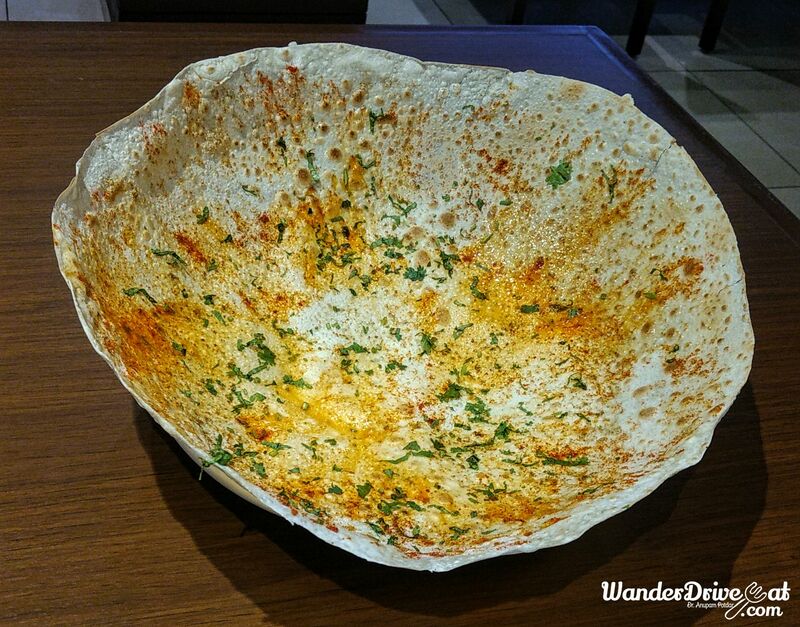 Karari Roti – A perfect appetizer. Beautifully crisp, lip smacking and glistening with ghee, thin enough to be measured in microns. 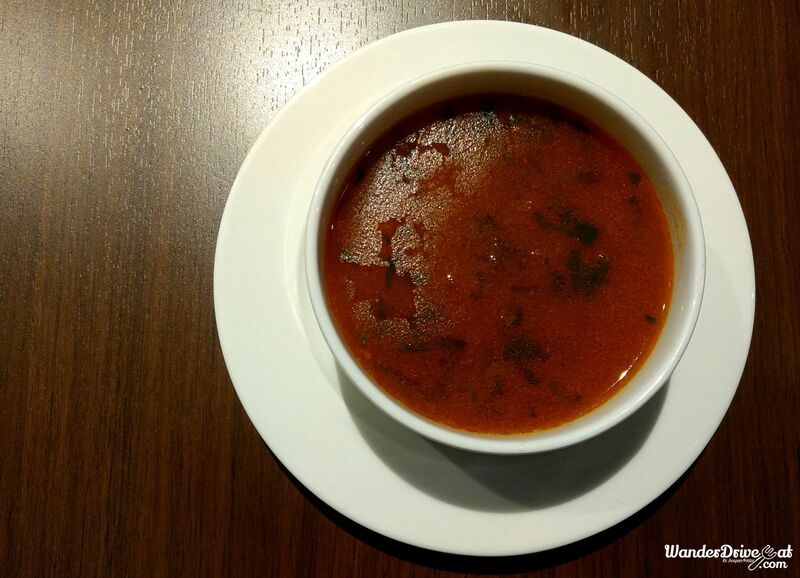 Paya Shorba – A bold meaty mutton trotter soup with depth of flavour and punch of spice. Murgh Yakhni – A milder comforting yogurt based chicken soup with a taste that wraps you like a quilt on a cold night. Khus Sherbet, a refreshing sweet khus concoction loaded with sabja seeds which added a wonderful bite. And the tasty and vibrant bright blue, Blue Lagoon. I also had a Sweet Lime Soda, which was amazing. Keftey Kebab was the juiciest and most flavourful mince lamb kebab I have ever eaten. Lightly spiced by mild herbs with the flavour of the rich fatty meat punching through brilliantly. This kebab basically puts you right in the middle of a desert, sitting around a camp fire with camels all around you. Murgh ki Raseed – Chicken drumsticks perfectly grilled on charcoal, with moderate spice and wonderful smokiness. Really amazing. Dahi ke Kebab were wonderfully mild and creamy. Not many places get them so perfect and tasty. The Shahjani Paneer was brilliant too, basically a super tender kebab with mushroom sandwiched between two huge paneer chunks. Really nice. Nalli Nihari – Pure rich flavour packed lamb shank curry. The perfect fattiness comes through with the meat just slipping off the bone. This is the best nihari I’ve had in Pune, period. Murgh Makhni – The classic rich and buttery chicken curry. All the flavour but none of the sweetness. This dish was a revelation. After years of discrediting the butter chicken, I finally crossed over to the dark side. Or should I say, bright orange and buttery side! Paneer Lababdar was a very tasty affair with ridiculously velvety paneer and vegetables in medium red gravy. The Dal Bukhara was just comforting, rich and smoky, slow cooked in an earthen pot. Instant happiness and all that. We tried three types of naan – The traditional Taftan, the decadent Peshawari Naan and the classic Butter Naan. All were beautifully prepared and did not become chewy on cooling down like most places. Perfect to scoop up the curries and dal. Kachche Ghost ki Biryani – Our tummies were bulging and eyes were drooping, but as soon as we dug into this biryani all that was instantly forgotten. In this version the meat isn’t precooked. It is cooked right within the rice and whole spices, pumping up the flavour tremendously! We savoured the wonderfully tender meat and highly fragrant rice. If you want to have some high end biryani, this is the one to have. A lavish Malai Kulfi, topped with rabdi and dry fruits along and some delicious Phirni was the perfect way to end such a perfect meal. Mughal Sarai has really blown me away and opened my eyes to real Mughlai cuisine. The food is impeccable, as is the ambiance and service. It is not very expensive too, in my opinion. The quality as well as the quantity of food is highly commendable. This restaurant has easily jumped to the top of my list, a definite must visit, wherever you stay in Pune. Do you like Mughlai Cuisine? Want to try Mughal Sarai? Tell me all in the comments below. And don’t forget to like WanderDriveEat on Facebook and Instagram. Very well written sir! I will visit this place soon. The pictures look awesome.